Beetiful designed the book cover for Rings and Things by Beverly Farr. Rings and Things is a book in the the Highland Park series. When love comes knocking, a door gets slammed in its face. Romance author Dana Lawson writes happy-ever-after endings for her characters, but when it comes to her own love story, she has writer’s block. Determined to get a break from life and heal her broken heart, she escapes to Emerald Bay. Her evening out at the local bar where she meets a gorgeous redhead ignites a fire she’s afraid to feed and desperate to fuel. Will she write her love story or tear up the chapters and throw them in the fire? Set along the beautiful South Shore of Nova Scotia, the story uses local flavors and rural settings to rev up the love scenes. The novel weaves together the lives of Dana Lawson, Mac Mackenzie, and Ellie, Mac’s niece. Hearts of Emerald Bay is a fast-paced love story that will keep you reading late into the night. It will appeal to adult readers who love reading romance novels with juicy scenes not suitable for younger audiences. Hearts of Emerald Bay is D. G. Barnes’ first novel. He delves into the love life of two women who desperately need to find each other. 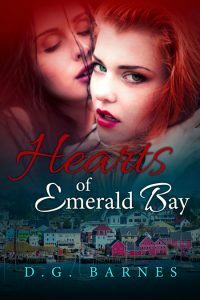 If you like spicy stories where the girl fights to get the girl, you’ll love Hearts of Emerald Bay. Buy Hearts of Emerald Bay and indulge yourself today. 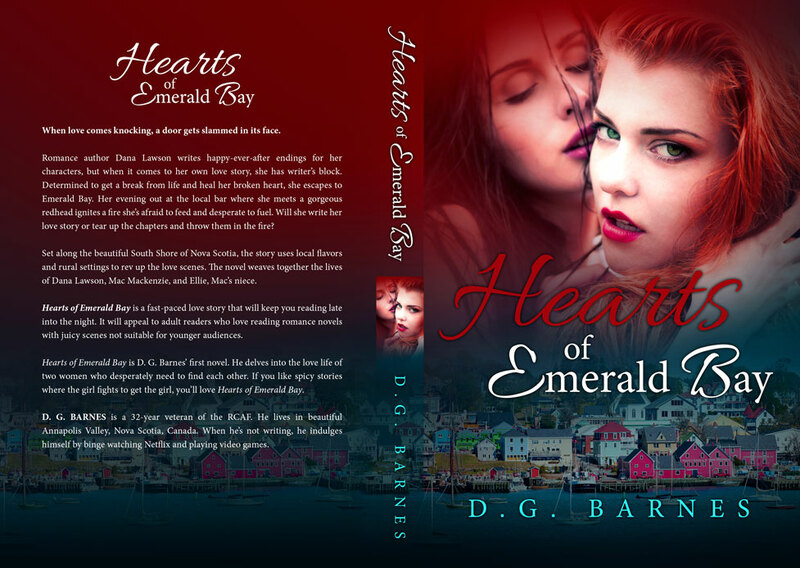 Get Hearts of Emerald Bay by D.G. Barnes today!